The draft minutes from the parish council meeting held on Wednesday 2nd May are now published. Any questions please ask the clerk. The draft minutes from the recent parish council meeting held on Wednesday 7th March are now available. Click here to access. For full documents follow the link to the minutes page of this website. 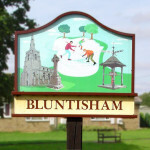 The next parish council meeting is to be held on Wednesday 7th March at Bluntisham Village Hall. The meeting starts at 8pm. All welcome. The next finance meeting will be held on Monday 5th March. The agenda can be found by clicking here. The agenda for the next HMC meeting is now available. The meeting is held in the village hall and starts at 8pm. There will be an extraordinary parish council meeting on Monday 19th February to discuss planning applications. Updates on maintenance and planning in general will also be provided. All welcome to attend and raise any concerns during the open forum. The next HMC meeting is scheduled for Monday 12th February. The meeting will start at the later time of 8.30pm due to the extraordinary PC meeting being held from 8.00 – 8.30pm. The next parish council meeting is to be held on Wednesday 7th February. The meeting starts at 8pm.